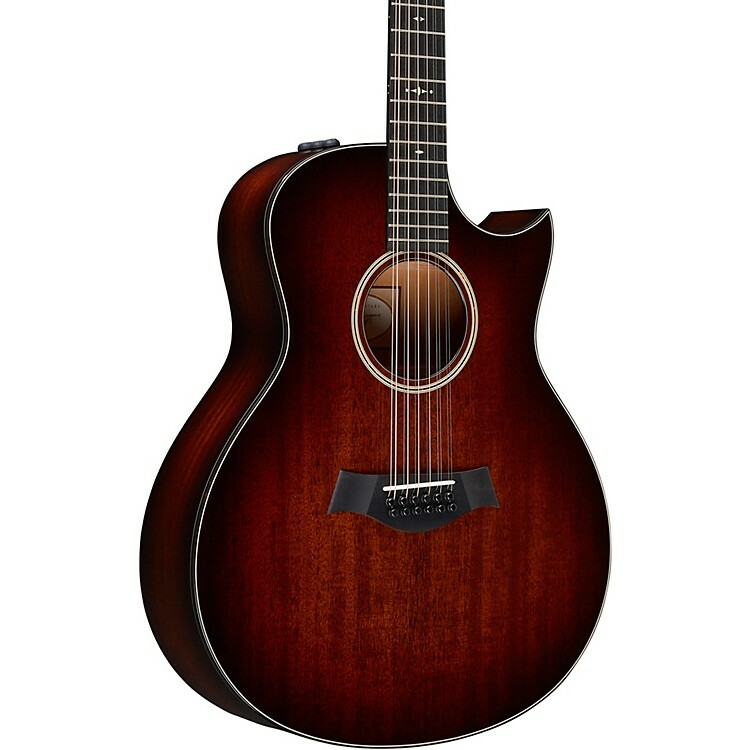 Taylor's revitalized 500 Series mahogany guitars are brimming with appealing refinements, starting with new bracing that boosts the volume, low-end richness and projection, while also making the guitars more responsive. A new top wood, Lutz spruce, joins the mix on Dreadnought and Grand Symphony models, producing a powerful sound reminiscent of Adirondack spruce. All 500 Series instruments ship in a deluxe hard shell case made by Taylor for optimal fit and protection. A refined, easy-to-play and professional sounding 12-string. Order yours today.